Ever wonder as an athlete, whether it’s worth your time and energy to take probiotics? You may just find what probiotics can do for you is better than all other supplements combined. Here’s what you need to know. As an athlete, you’re on top of your game as far as supplementation is concerned. You’re constantly reading up on new products, going through the research and determining whether a particular product on the market is going to help you take your performance from good to great. You have your protein powder in check, a good multivitamin on hand, a proper pre-workout energy booster, and some recovery supplements in your pantry as well. All there ready to help improve your performance. But, is there one vital supplement that you could be missing out on? Probiotics are one that tend to confuse many people, athletes included. Many people simply aren’t giving them the attention they deserve and instead, putting their focus on products that are heavily touted for their ergogenic benefits. While all those products may be good, probiotics tend to work from the bottom up, so to speak. 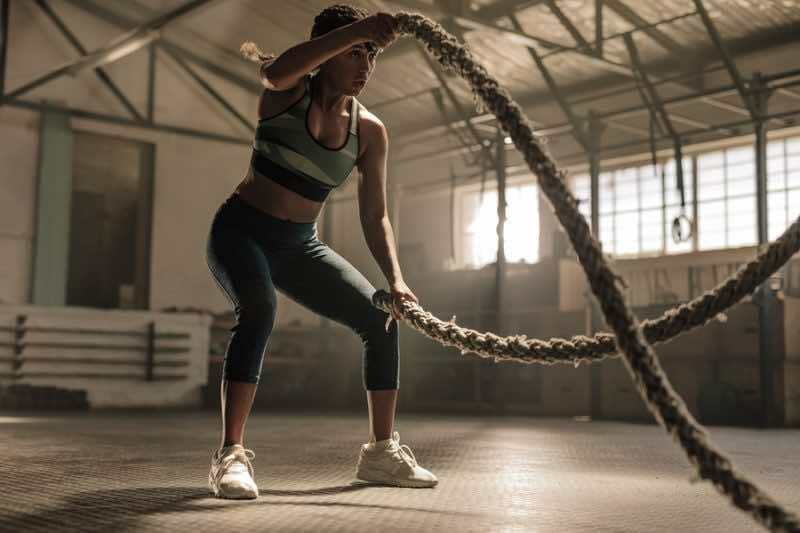 The ergogenic products work by helping boost your performance on a performance level, while probiotics help to boost your overall health, which then translates to superior performance. This is a much healthier route to go because you are starting at the foundation. Anything you can do to improve your health is going to serve you well both in general for life as well as for your sports performance. So let’s go over some of the key probiotic benefits that you need to know about. If you’ve ever found yourself asking what do probiotics do, here are your answers. Before we get into the specific benefits that probiotics have to offer athletes, let’s first provide you with a bit of a probiotic primer. You need to understand how probiotic supplements and probiotic foods work in the body before you can understand how they provide the benefits that they do. Probiotics are essentially the healthy bacteria that resides inside the gut that help to ensure your body is in proper working order. Inside the gut, you have good bacteria and you have bad bacteria. Your mission is to ensure that the total number of good bacteria outnumbers the bad. When bad bacteria start to take over, that’s when we often begin to see health problems taking place. That’s when digestion tends to go out the window, gas, bloating, and diarrhea appears. You may also start to succumb to illnesses more easily as well. Overall, probiotics help keep our health in tip-top shape. Without them, you’ll always be in a weakened state. 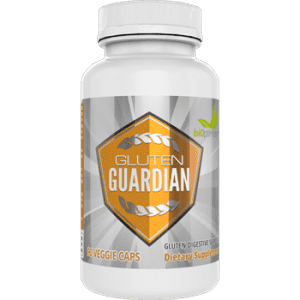 There are no negative probiotic side effects because these are naturally occurring bacteria that are supposed to live in the gut, so there is no downside to using a good probiotic supplement. Now, let’s look closer at what probiotics offer athletes. The first way in which probiotics will help improve your health and sports performance is by enhancing protein digestion. Probiotics, because they are a critical part of the digestion and breakdown process, are going to ensure that for example, all the protein you eat is broken down into the individual amino acids, which can then be put to use by the hard training muscle tissues, repairing and rebuilding damage after each training session you do. Many athletes in this day and age are overeating when it comes to their protein intake. They do this in order to provide sufficient levels of amino acids in their body. But all this is really doing is making it harder on their kidneys to process all these carbohydrates and on top of that, also decrease the overall calories they can devote to the other macronutrients. Look at it this way. As an athlete, maintaining your body weight is of critical importance. If you are allowed to eat 2,400 calories per day in order to maintain your body weight, fuel your activity level and you are eating 180 grams of protein in order to meet your needs (you weigh 150 pounds), this means that you are devoting 720 calories towards protein and only have 1,680 calories left over to divide between carbohydrates and dietary fat. If you eat 75 grams of dietary fat per day, that’s another 675 calories gone, leaving you with just about 1000 calories or 250 grams of carbs per day. If you are a hard working athlete, this may be sufficient, but not optimal. Now imagine you had better protein digestion. Rather than requiring 180 grams of protein per day, you can now be required to have 120 grams of protein instead. This now leaves over 60 additional grams of energy producing carbohydrates you could eat, which will only help improve your performance that much better. So as an athlete, you may think you feel good increasing your protein intake but the fact of the matter is, there is a cost to doing so. It’s going to mean that you can’t eat as many carbohydrates and as an athlete, this is your fuel currency. The more carbs you eat, the more energy you will have to train and the better your overall recovery will be. This is why very low carb diets, as an athlete training hard, is a very bad plan. They simply won’t help you reach your goals. This becomes even more beneficial when you are an athlete who is dieting. If your calorie intake is reduced down to say 2,000 calories and you are taking in 720 of those calories towards protein and another 675 calories towards dietary fat, this isn’t leaving you much for carbohydrates to work with. 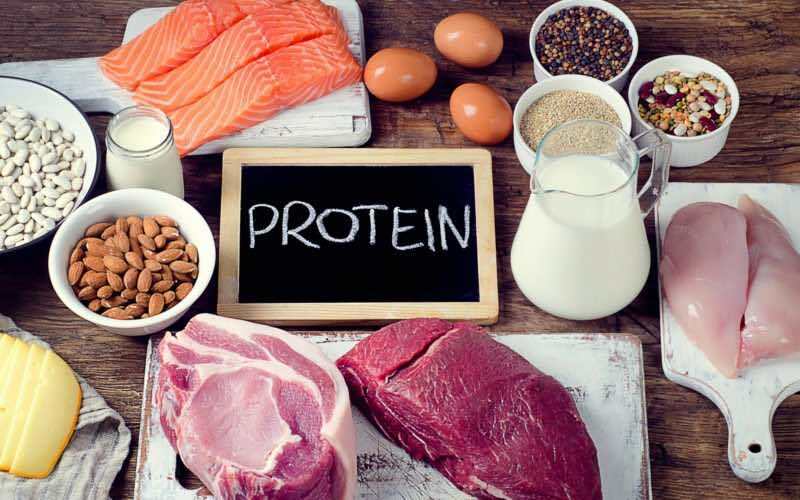 The lower your protein intake can be (without risking lean muscle mass of course), the easier and better you will feel during the dieting process. The next way that a probiotic is going to help you become a better athlete is by reducing your risk of overtraining. Each and every day, you are putting stress on your body. Even non-athletes are experiencing this. If you don’t get your full 8 hours of sleep each night, that is going to be a stress. When you are late for a meeting at work, this could cause stress. When you’re worrying about whether or not you’ll be able to pay your MasterCard bill, this too is added stress. With athletes, the stress level is amplified by a hundred percent because now you have to add physically taxing training sessions into the mix. How well you are able to cope with this stress is going to be what determines how easily you are able to keep going with your workout program. If the stress level starts to get too great, that’s when overtraining can set in and soon, you’ll be taken out of the workout game altogether. We need to stop and think about what overtraining is, exactly. Overtraining is a state in which you are experiencing more stress from exercise than your body is able to recover from and as such, you aren’t seeing a progression in performance. Often in these cases regression is experienced. Basically, you’re going backward rather than forward and very likely, feeling miserable in the process as well. So how do probiotics help you cope? They do so by actually working to strengthen the immune system. Here’s a fact that many people do not realize: According to research published in the Clinical & Experimental Immunology Journal, up to 80% of your total immune system is housed in the gut (1), meaning if your gut is not in a healthy position, your immune system will not be either. And when your immune system is not up to par, every little stressor that you encounter is going to take its toll. You won’t bounce back as fast after each workout you do and you’ll notice that as your training week progresses along, you start to drag more and more. By using probiotics in your program plan, you will help to give your immune system a boost, which will increase your stress tolerance capacity, allowing you to do more training without risking overtraining. As an athlete you are strictly limited by your recovery ability. The lower your recovery is, the fewer results you will see. While there are plenty of things that you can do to help give your immune system a boost, eating probiotic foods and taking probiotic supplements tends to be some of the best ways. Another good way that probiotics can help to increase your athletic performance is by increasing the absorption of antioxidants. For those who aren’t so familiar with what antioxidants do, they basically help to neutralize free radicals that your body comes into contact with. Free radicals can be everywhere. We encounter them simply in our environment by breathing in pollutants that come from manufacturing plants or simply from the car that you drive, they come from fried foods that you eat on a daily basis, from cigarette smoke that you inhale (not necessarily your own, but from someone who does smoke), as well as from the stress that is placed upon the body during exercise. We all tend to think of exercise as a good thing but the actual act of exercise itself is actually breaking the body down. You’re tearing down the muscle fibers as well as creating free radicals so from that viewpoint, it could actually be viewed as far more harmful. This said, what happens after exercise is where the real benefits are. After exercise, the body is in this broken down state and then begins taking steps to repair itself, growing back stronger than it was before so that if it should encounter these same stressors again, it will be better prepared. So in this way, it’s not the exercise itself that is helping you but rather, the adaptation to the exercise. Antioxidants assist with that adaptation. They are going to neutralize the free radicals that are created, ensuring they don’t do any further damage to the body and providing an environment where proper adaptation can take place. This is also very important for overall health sake as well because too many free radicals within the body is what can increase the chances that you begin suffering from disease, as was noted by research published in the Pharmacognosy Reviews Journal (2). 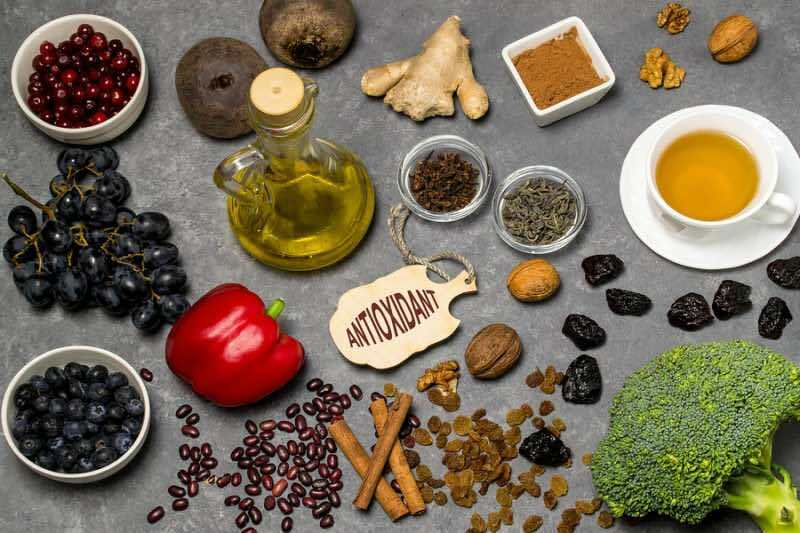 In order to reap the full benefits of probiotics and their ability to help increase the absorption of antioxidants, you do need to make sure that you are eating plenty of antioxidant rich foods. So you’ll want to ensure that your diet contains a good dose of fresh fruits and vegetables along with lean meats and whole grains. Fruits and vegetables are the stand-out sources of antioxidants, so really do focus your attention on those. Another of the probiotic benefits to know about is that they may help to boost your ability to tolerate heat. If you’re like most athletes in hard training, when the temperature climbs, your performance takes a nosedive. Most people tend to feel tired and lethargic when they are training in very warm climates. As it turns out, probiotics may help you keep training at the intensity level you’re used to despite the warmer environment. In one study published in the European Journal of Applied Physiology (3), researchers looked at what impact the use of a multi-strain probiotic supplement would have on the gastrointestinal permeability, systemic markers of inflammation, and running performance when exercising in heat. They had ten male runners undergo a 4 week trial period where they were using daily supplementation with probiotic capsules or else take a placebo pill. There was also a washout period between the two trials so that subjects did not see any carry over effects from using the probiotic supplement. After each four week treatment period, the subjects then exercised until they reached the point of fatigue, exercising at 80% of their ventilatory threshold at a room temperature of 35 degrees Celsius and 40% humidity. Core temperature was monitored during the exercise and blood samples were collected before, immediately after and one hour after exercise was completed. When the results were compiled, it was noted that when the subjects took the probiotics, they saw a significantly increased total run time until exhaustion while using the probiotics and their average core temperature during exercise was similar between trails. This essentially means that the probiotics were acting on the subjects and help to prevent the onset of fatigue during warmer climate exercise. So if you’re someone who is doing an outside sport and finds that the events you train in can be unpredictable in terms of temperature, it’s a very good idea to have probiotics on your side. By taking them regularly, if you go to a race on a hot summer’s day, while the rest of your competitors are being influenced by that heat and are not able to sustain the same level of endurance, there’s a greater chance that you’ll be able to keep going without missing a beat. This can give you a huge competitive edge. 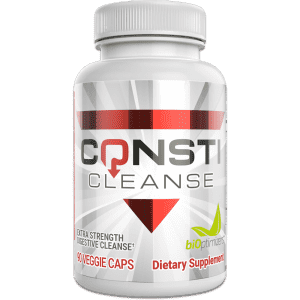 Finally, the last of the probiotic benefits that athletes will definitely want to take note of is the fact that they may be able to influence your overall mood state. We’ve all had those days where it was time for you to train but your heart is just not in it. You’re sad, feeling depressed, and the last thing that you want to do is train hard. It could be a particular bad day that’s causing this sad mood or simply you just aren’t feeling it that day. Whatever the case, it does impact your performance. Those who are feeling even mildly depressed will not have the same drive and determination for exercise as those who are not. Having probiotics on your side may help. Research has shown that probiotic supplements may help to reduce cognitive reactivity to a sad mood, they may help to reduce the degree of rumination that takes place in those who are having a bad day, and they may also help to prevent depression in the long run (4). This is why it’s important that you take probiotics on a daily basis and not just when the sad mood strikes. By using them daily, you can prevent the sad mood and possibly even lower your overall risk factor for depression. 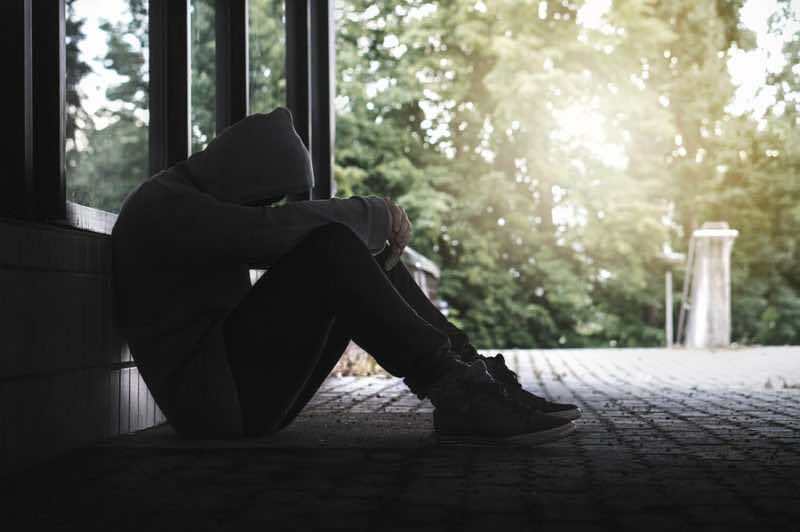 Because of this, they serve as an excellent preventative strategy for ongoing support and to help combat poor performance due to decreased mood states. So there you have some of the main ways that probiotics can help to improve athletic performance. Many of these, as mentioned earlier, are indirect methods that will influence your overall training capacity and ability to strive to reach your goals. Athletes need to put as much focus as they can on maintaining optimal health, not just performance because when health starts to go, performance will automatically fail. If you are too hyper focused on performance enhancing supplements and your baseline level of health gets neglected, it won’t be too long before this catches up to you. While many performance-based supplements will offer a strong energy boost and help you get mentally in the mood to train regardless of how you feel, these can only do so much. And, if you rely on them too often, it will only increase the risk of burnout because of the fact they are often stimulating the central nervous system. 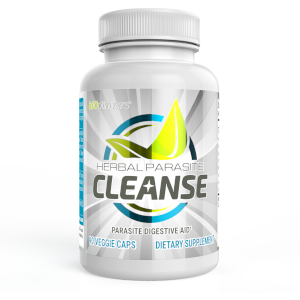 So check out a quality probiotic and consider getting started today. While you can always focus on eating more probiotic rich foods, most people don’t eat these foods consistently enough and often, sadly, much of the healthy bacteria in those foods is dead by the time it actually gets to your body. That’s why simply using probiotic supplementation is so much wiser. With this, you know that you are getting just what you need and you can get it in quickly and when it’s convenient for you. 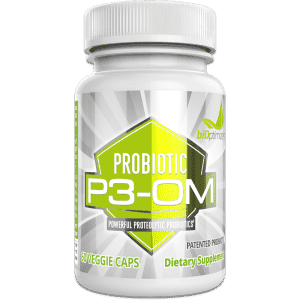 P3-OM is the top probiotic on the market today and can help get your gut up to where it needs to be very quickly, ensuring that you don’t spend any more time than you have to exercising at a half capacity level. 1. Vighi, G., et al. “Allergy and the gastrointestinal system.” Clinical & Experimental Immunology 153.s1 (2008): 3-6. 2. Lobo, Vijaya, et al. “Free radicals, antioxidants and functional foods: Impact on human health.” Pharmacognosy reviews 4.8 (2010): 118. 3. Shing, Cecilia M., et al. “Effects of probiotics supplementation on gastrointestinal permeability, inflammation and exercise performance in the heat.” European journal of applied physiology 114.1 (2014): 93-103. 4. Shing, Cecilia M., et al. “Effects of probiotics supplementation on gastrointestinal permeability, inflammation and exercise performance in the heat.” European journal of applied physiology 114.1 (2014): 93-103. Thank you so much for your response. We appreciate your feedback. Take care.